Do you need a new guard shack for your property or a storage area for work equipment? 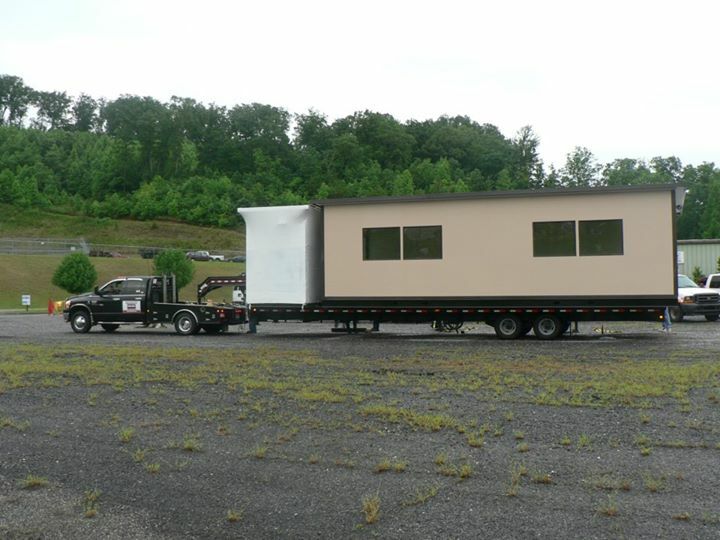 Do you need a portable building that can be put together quickly and easily transported to another location? If you answered yes to any of the above questions you should consider metal buildings by Panel Built. Cost effective: A panel built metal building can be more cost efficient then building a unit from the ground up on your property. A prefabricated building is constructed off site and then sent to you to install. This reduces traffic and diverted man hours on your part. Panel Built metal building prices are affordable and include your structure, detailed instructions on how to install your new building as well as access to our customer service or technical help when you need it. Convenient: You can purchase your metal building online. Simply visit the Panel Built website to learn about what type of building sizes are available for the project you need. When you order your prefabricated building online you can save time by not having to take time out to meet with contractors and suppliers. Our representatives will help you add any additional features so your building is designed to fit your specific needs. Time Friendly: You can get your Panel Built building up and going any time of the year. Your metal structure is created in a factory off site, which means little or no weather delays. Snow and rain will not impact construction of your new structure. Depending on the type of metal building your order your building could be shipped in as little as five days. You can continue doing what needs to be done for your business while we construct your building. Earth Friendly: When you purchase a prefabricated metal building the majority of your new structure is built in a factory. This means there is less impact on the environment around your building. Materials used to create prefabricated are durable reducing the amount of resources used. More durable: If you think that prefabricated metal buildings for sale are less durable than a traditional structure because they are built off site, you may be surprised. Many times these prefabricated buildings are more structurally sound because they are created off site. The buildings must not only be stable enough to withstand weather and other elements, they must be sturdy enough to withstand travel and transportation. Metal buildings require less upkeep than wood based structures. This will save you time and money you can use to focus on your business. Guard Shacks: You can purchase single occupant guard booths for your construction site, fairground or other property. Guardhouses come in larger sizes so you can accommodate as more guards. Special features may include bullet proof glass, roof mounted heating and air and shelving. Modular Offices: If you need a little extra space in your industrial building, a modular office can break up space and provide better organization when the paperwork needs to get done. Additionally these modular rooms can be customized for storage or meeting space. Farming buildings: Whether you need a new barn or a temporary structure to house animals and food, Panel Built provides high quality, durable buildings to protect your animals and equipment from the natural elements. These metal structures will last longer and look better in the heat and rain than wood barns. 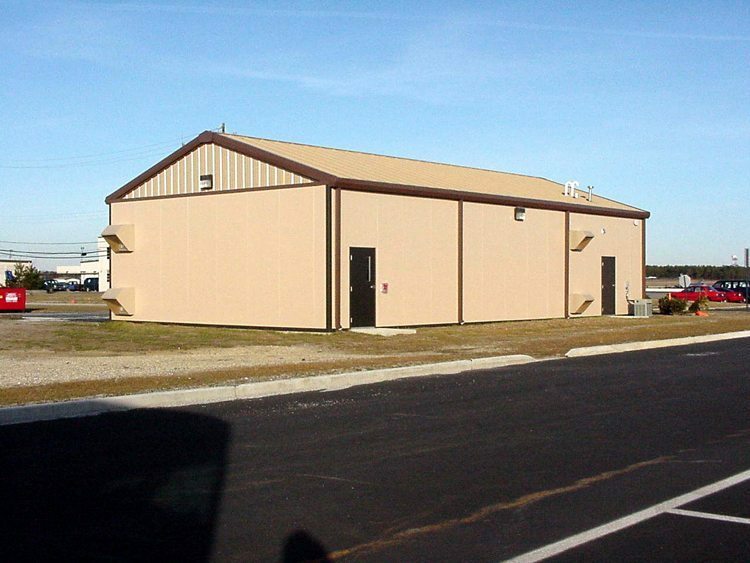 Storage Units: Panel Built prefabricated buildings are ideal for storage. The clean, sturdy buildings look good and provide security for your possessions. Your metal structure includes a variety of options regarding window and door material. Your doors may also include locks to ensure extra security. Church: If you are looking for an affordable way to create a meeting space for your church congregation, Panel Built offers several options that are completely customizable to ensure that your meeting space is durable, comfortable and welcoming. Special features include flooring, interior walls, windows and exterior design options. If you are interested in purchasing a metal building or you want more information on how to customize your order, contact our customer service representatives.